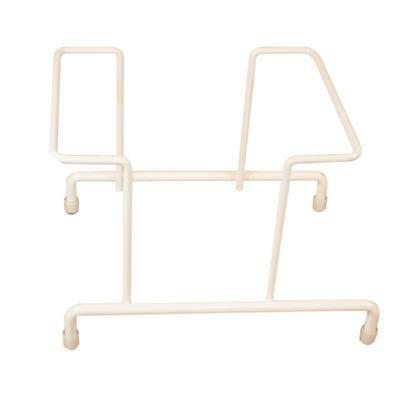 The E-Z Storage Single Rack holds the E-Z Storage Organizer Tub. The tub can be placed flat or at an angle for easy supply access. 7" x 5" x 4-3/4"